Julie Zhuo first started working at Facebook as an intern over a decade ago. Since then, she’s risen through the ranks to become VP of Product Design at the company, leading a team of hundreds that’s charged with designing the app billions of users see every day. But reflecting on her career, it was the moment when she first put on the manager’s cap that stands out most. Whether it’s the memories of getting through her first 1:1 with a direct report, trying to hide her shaking hands in her first interview with a candidate, or making the hard choice to let someone go for the first time, Zhuo’s first brush with management came with a heavy dose of trial-by-fire milestones that, at the time, loomed large and seemingly threatened to drag her under. Now, with more than 10 years as a manager under her belt, Zhuo has the perspective to recognize that virtually all new managers feel the same way. And after sharing her hard-won design and leadership insights in many articles on her blog (and on the Review as well), she was prodded by her readers to write a book — not at the twilight of her career as a C-suite executive, but now, while the imprint left by her first experience as a manager hadn’t yet faded. 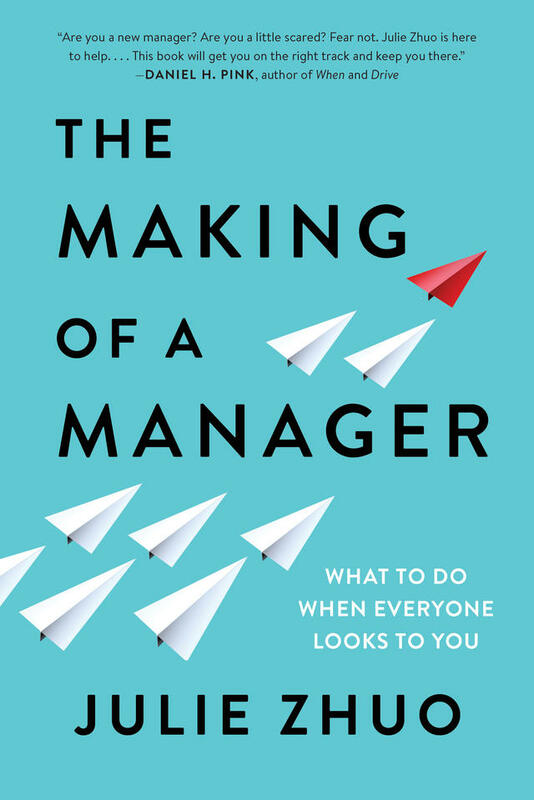 Today, Zhuo releases that book, The Making of a Manager: What to Do When Everyone Looks to You, in which she offers practical advice, relatable anecdotes and tested tactics for the newly minted manager. She covers the full-range of the first-timer’s experience, diving deep into the weeds of everything from dealing with the anxieties of imposter syndrome to navigating the awkwardness of managing former peers and doling out more direct feedback, all with the goal to pen the manager’s manual she wishes she had at the start of her own journey. After leafing through an advance copy, we were struck most by a single, powerful observation from Zhuo. Deep within a section on 1:1s in the third chapter, this sentence stands out as the invisible throughline that connects her managerial wisdom: Questions are a manager’s best tool. As Zhuo writes, most of our attempts to “help” aren’t actually helpful, even when they’re offered with the best of intentions. The best way to understand what’s going on or how to get better is to pose probing questions to the people you manage, and above all, to yourself. Pausing to infuse intention into every move at the outset, take a step back at key points along the way, or stop for a tune-up if you’re already further along the road is critical to leveling up as a leader — and questions are the keys that unlock the door to development. With The Making of a Manager hot off the press, we’re pleased to present a selection of the questions in Zhuo’s toolkit that helped her become a better manager. We’ve excerpted several different sections from her book to weave together a collection of the essential questions new managers should ask themselves as they look to build trust, improve 1:1s and make sure feedback is heard. Julie Zhuo, author of The Making of a Manager, What to Do When Everyone Looks to You. Read on for a preview of Zhuo’s detailed advice for new managers seeking to earn their leadership sea legs and swim more comfortably in the deep end. When I first started my job, I considered manager and leader to be synonyms. Over time I’ve come to learn that leadership is a quality rather than a job. While the role of a manager can be given to someone (or taken away), leadership is not something that can be bestowed. It must be earned. People must want to follow you. First-time managers need to nail the essentials of leading a small team. Only when you have built trust with your reports will you have the credibility to help them achieve more together. Do my reports regularly bring their biggest challenges to my attention? One of my teammates shared with me a simple litmus test for assessing the health of her relationships: If she asks her report how things are going and the answer for multiple weeks is “Everything is fine,” she takes it as a sign to prod further. It’s much more likely that the report is shy about getting into the gory details than that everything is consistently rainbows and butterflies. Would my reports gladly work for me again? When you see a manager taking on a new role and members of his former team also make the leap with him, that says a lot about his leadership. In anonymous surveys to track team health, some companies explicitly ask the question, “Would you work for your manager again?” If your organization doesn’t do this, simply reflecting on the question can be useful. For each report, can you say with confidence that he or she would want to be on your team again? You can also get an approximate reading by asking your report, “What are the qualities of a perfect manager for you?” and evaluating how you compare to the description you get back. Can you say with confidence that each report would want to be on your team again? If you aren’t sure that the answer is yes, it’s probably no — much like how if you have to ask, “Am I in love?” you’re probably not. As a manager, the most precious resource you have is your own time and energy, and when you spend it on your team, it goes a long way toward building healthy relationships. This is why 1:1 meetings are such an important part of management. Ask yourself: Do all of my 1:1s feel a little awkward? My friend Mark Rabkin shared a tip with me that I love: strive for all your 1:1 meetings to feel a little awkward. Why? Because the most important and meaningful conversations have that characteristic. It isn’t easy to discuss mistakes, confront tensions, or talk about deep fears or secret hopes, but no strong relationship can be built on superficial pleasantries alone. There’s no wordsmithery that gets around the awkwardness of expressing a sentiment like, “I don’t feel that you recognize when I’m doing a good job” or “Last week, when you said X, it made me feel as if you don’t really understand my project.” But these things need to be said in order to be addressed, and with a bedrock of trust, the conversations become easier. Managers shouldn’t dole out advice or “save the day.” Instead, empower your report to find the answer herself. She has more context than you on the problems, so she’s in the best position to uncover the solution. Let her lead the 1:1 while you listen and probe. What’s top of mind for you right now? What priorities are you thinking about this week? What’s the best use of our time today? Understand: These get at the root of the problem and what can be done about it. What does your ideal outcome look like? What’s hard for you in getting to that outcome? What do you think is the best course of action? What’s the worst-case scenario you’re worried about? Support: These questions zero in on how you can be of greatest service to your report. What can I do to make you more successful? What was the most useful part of our conversation today? For a leader, giving feedback — both when things are going well and when they aren’t — is one of the most fundamental aspects of the job. But your feedback only counts if it makes things better. I might feel accomplished in pointing out the problem, but that’s not effective if it doesn’t actually help. The mark of a great coach is that others improve under your guidance. Giving feedback knocks down two of the biggest barriers preventing your reports from doing great work — unclear expectations and inadequate skills — so that they know exactly where to aim and how to hit the target. Am I giving feedback often enough? I knew a manager who was a designer’s designer and a top-notch creative director. He could casually glance at a mock-up and tell you if the spacing between the icons was two pixels off. His team always knew where he stood on their work. However, in their upward reviews, I would read comments like, “I want to understand my manager’s opinion on how I’m progressing” or “I want to have conversations about my career goals and how to achieve them.” His team longed for additional attention about them as people, not just on their output. Is my feedback being heard? If you’ve ever played a game of telephone as a kid, you know this to be true: What you intend to say and what the listener hears are not always the same. You might think you’re being clear when in fact you’re saying too much, or too little, or sending a different message through your body language. (I’ve been told, for example, that I’m prone to rambling, which can make it hard to understand my main point, and that my friendliness can mask the seriousness of a tough message.) Add to that the listener’s confirmation bias — our tendency to recall things that confirm preexisting beliefs — and it’s no wonder that messages get muddled in translation. The best way to make your feedback heard is to make the listener feel safe, and to show that you’re saying it because you care about her and want her to succeed. If you come off with even a whiff of an ulterior motive — you want to be right, you’re judging her, you’re annoyed or impatient — the message won’t get through. When you do have critical feedback to share, approach it with a sense of curiosity and an honest desire to understand your report’s perspective. Ultimately, a group of people working in unison is a wonderful thing to behold. Done well, it ceases to be about you or me, one individual or another. Instead, you feel the energy of dozens or hundreds or even thousands of hearts and minds directed toward a shared purpose, guided by shared values. If you or I do our jobs well, then our teams will thrive. We will build something that will outlast us, that will be made stronger by all who became a part of it. Good luck in your path ahead. Go out with your team and make something wonderful together. These excerpts are from The Making of a Manager by Julie Zhuo, published on March 19, 2019 by Portfolio, an imprint of Penguin Publishing Group, a division of Penguin Random House, LLC. Copyright (c) 2019 by Julie Zhuo. 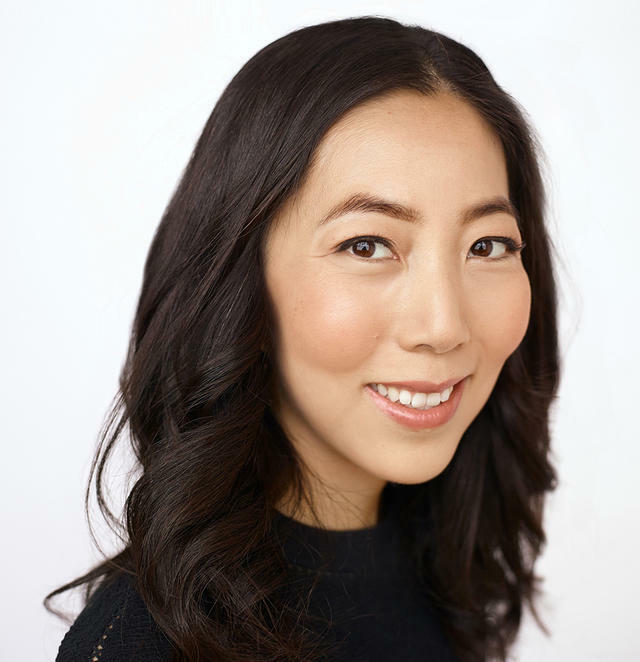 Photo of Julie Zhuo by Jeff Singer. Article image by Devonyu / iStock / Getty Images Plus.